Travelden hosted a hard launch to celebrate and introduce a new online booking platform at Ibis Hotel, Toyin Street Ikeja, Lagos. 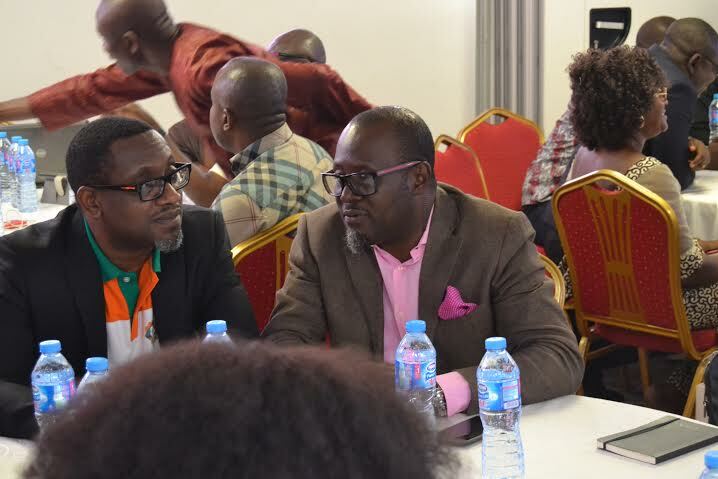 The event was attended by airline representatives, aviation industry professionals, trade partners, esteemed members of the press and popular Nigerian bloggers. Some bloggers gave the event live coverage on social media and posted photos of the lively celebration throughout the day. The launch debuted with a presentation by the Managing Director, Mrs. Lilian Obinna-Igwe, who gave a brief introduction of Travelden’s products & services and what Travelden has to offer to the travelling public. Much was revealed about the future of Travelden, the current features & functionalities of their website and the products & services they intend to introduce in the nearest future. In addition to that, the NANTA President, Mr. Bankole Bernard who graced the occasion, touched on the current challenges in the travel industry and the plans the organisation is making to curb the challenges. Invited guests received giveaway prizes. 10 lucky winners received Travelden goody bags after taking part in a quiz. The grand finale prize of 2 free flight tickets courtesy of United Airlines to any North America destination and Etihad to Abu Dhabi were won by the lucky winners through a raffle draw. Invited guests were also treated to a 3 course meal themed buffet and unlimited cocktail drinks. Indeed it was a well-attended event with a mix of professionals within the industry, suppliers & trade partners who used the occasion to network and learn more about Travelden.com and trends in the industry.